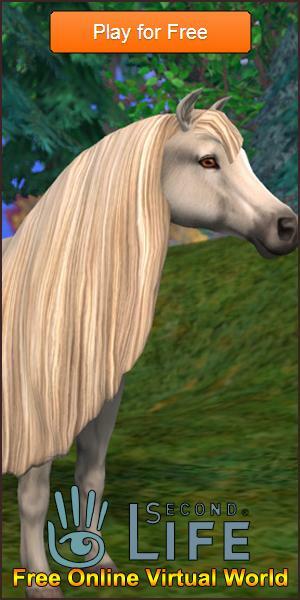 Virtual Games in Facebook Article - Virtual Worlds Land! Rate this Article Facebook is a great platform to play virtual world games on, in this article we’ll be covering why that is so and will also be mentioning some of the games that are played on Facebook. Facebook based virtual world games are great because they have a lot of great gameplay elements that are combined with the top of the line social aspects of Facebook to deliver an immersive experience to the players. Players can invite people on their friends list to play the game with them and if two friends play the same game then they can even help each other out in certain ways. Another great feature in Facebook based virtual world games is that you can share all your progress with everyone on your friends list. Whenever you achieve a higher level or earn a really significant reward the game will give you the option to post this achievement on your wall for everyone else to see. Lastly, the social elements in almost every single Facebook based virtual world are extraordinary. Pretty much all games will have hangout spots where players can come to basically hang out and socialize with each other. Other than this you can also invite your friends who also play the same game to play cool mini-games with you or even go out and explore the worlds together. YoVille allows players to create and customize a character according to their preferences and then they’re set off into the enormous world filled with activities. You can invite friends to join in and play multiplayer mini-games with you, hang out at places or even go shopping for new apparel. YoVille also allows you to send cool gifts to your friends. Avataria is a virtual world game that truly gives you the freedom to do whatever you want. You can go party in clubs, make new friends, invite your old friends to explore the world with you, decorate your apartment according to your likings and a bunch of other things. The options seem limitless in the world of Avataria. The virtual world that is Stardoll puts a significant amount of emphasis on fashion elements. Although the game still has all the features that combine to make a successful virtual world game what it is, it also has some really cool fashion based features. You can customize your character to an excessive degree and put on things like make-up, jewelry and a bunch of other fashion apparel. GalaStories is a game that’s a bit similar to Stardoll in the sense that there’s a lot of focus on fashion elements. When you start off in GalaStories you’re tasked with the objective of becoming a world famous fashion icon that everyone will look up to so it’s pretty obvious that the game will have a ton of fashion oriented features alongside the standard virtual world features of socializing and such. All the above games are Facebook based and each one of them is capable of providing players with a great deal of enjoyment especially considering the fact that you can bring your Facebook friends to play with you.